The company ranked highest in J.D. Power's 2015 Credit Card Satisfaction Study. The study focused on six factors: interaction, credit card terms, billing and payment, rewards, benefits and services and problem resolution. 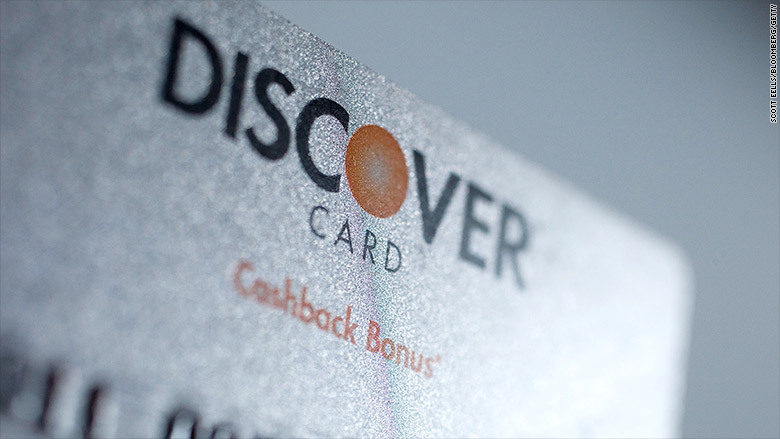 Discover (DFS) scored a total of 828 points based on a 1,000-point scale while American Express (AXP) recorded 820 points. "A lot of its focus is making it very easy for customers to redeem their rewards," said Jim Miller, senior director of banking services at J.D. Power. He added that Discover's offer to freeze misplaced cards, provide access to free FICO credit scores and keep call centers in the U.S. sits well with customers. Americans' overall satisfaction with the credit card industry has soared recently, Miller said. "It helps that customers feel better about the economy and their personal financial situation, when you are employed and can pay your credit bill, you tend to feel better." Citi and GE Capital Retail Bank/Synchrony Bank ranked at the bottom of J.D. Power's list. "You also have to take into account perception of the big banks, they don't have the greatest reputation right now and so that can effect a bank like Citi." When it comes to picking a card in the saturated market, consumers tend to focus on two things: rewards and benefits. "The industry has become so competitive that generally, rewards are getting better," said Miller.